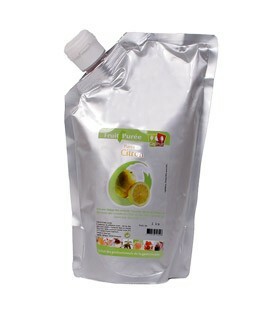 A natural fruit puree, with no food colouring, no artificial flavours or preservatives, and containing 80% fruit minimum! This is only possible thanks to a technological know-how and flash pasteurization, as well as a very severe selection of the fruit (ripeness, varieties, regions, and farming methods). Thus, your puree or coulis have an outstanding taste, like a burst of fruit picked right off the tree at the perfect season. Create your desserts easily and all year round like the greatest chefs. 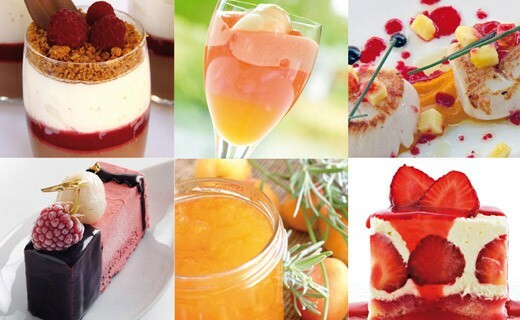 Capfruit fruit purees are used by many glaciers and pastry chefs, starred Cooks, Best Craftsman of France and World Pastry Champions. They are ideal for making pastries (mousses, desserts, macaroons, ...), ice creams and sorbets, drinks (cocktails and smoothies). Presented in stable and flexible pockets, the puree can be used immediately, it is practical to handle and allows to use it all. With its resealable spout, the product is protected and can be stored after opening.